"Your chelas may be good at counting votes and notes, but I cannot bring myself to keep quiet in the face of the creeping institutionalised shoddiness in India’s political life and public space." This article was originally published on June 16, 2017. 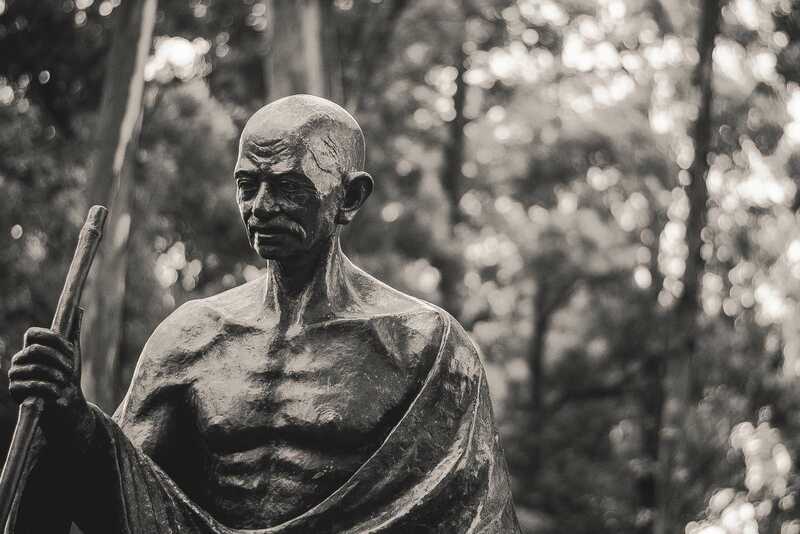 It is being republished on the occasion of Gandhi’s 150th birth anniversary. I am told your boys from Ahmedabad are now branding me as a chatur baniya. Jamnalal [Bajaj] is quite indignant about it; he says if anything I was a foolish baniya, always maintaining the accounts. I first thought I should write to Jawaharlal [Nehru]. But then I realised poor Jawaharlal himself is being given a hard time by your boys. I believe they are re-writing all those books and history to edit him out of public memory. These people are using something called social media to spread wonderfully inventive and salacious stories about Jawaharlal. What errant nonsense. It seems that now it is going to be my turn. They want to bring me a peg or two down in national imagination, cheapen me as a baniya – all because they want to get at the Congress party. Now, Sardar, do not protest. They are your chelas. At least, they loudly claim to be so, and are forever pitting you against Jawaharlal, with all their wonderful fictionalised accounts of how I cheated you out of the prime ministership of free India. I understand they are getting the Chinese to put up a very tall statue in your honour. They think a very tall statue will add to your stature. I have not felt the need to lament so far about what they have been doing to India. I know they still go to Rajghat every year. They even try to imitate charkha-spinning. When it suits them, some of them go as far as observing a ‘fast’. But this chatur baniya is serious business. I do not mind being abused; I have been abused all my life and much more after Nathuram Godse aimed his pistol at me at Birla House. I should say I have been a beneficiary of some of the choicest abuses from many quarters – the Tories, the Communists, all those Hindu Mahasabhaites, at times even Ambedkar was unsparing. But they all argued with my ideas, questioned my actions and programmes, but nobody called me a baniya, leave alone a chatur baniya. Please tell me, Sardar, what have I done to deserve this moniker from your chelas? I am not a dunce and I understand perfectly well what they are trying to do; if you will permit me a bit of frank talk, what they want is to delegitimise all those institutions, ideas, ideologies, individuals who were associated with the freedom struggle, nationalist movement and transformation of India into a modern state. They selectively cite my desire that the Congress should convert itself into a Lok Seva Sangh. This is one of the most misunderstood of my ideas. What simple-mindedness are your chelas dishing out! You and I know this perfectly well that after we forced the British to leave, the Congressmen were not going to retire to the jungle and devote their time and charged-up energy to meditation and communion with God, or to running gaushalas – and leave the political field open for the Hindu Mahasabhaites or the Communists to take over the arena. The Congressmen were not so unworldly as to leave the field for all those forces which had opposed freedom struggle, sided with the colonial authorities. Sardar, your chelas, are getting good at twisting and distorting. Their insinuation that somehow a power-hungry Congress disregarded my ideas about the Lok Seva Sangh is totally bogus. I know a bit about organisation, control, order and power; never in my wildest of dreams I could countenance a situation where the most formidable organisation – the Indian National Congress – would have vacated the commanding heights of Indian politics and left the field for the Savarkarites and Mahasabhaites to take over the store. Your chelas, Sardar, are so full of themselves, if you will permit me an American expression. Sardar, all these years a wonderful myth had been perpetuated that Jawaharlal was mortally afraid of Subhas (Chandra Bose). These people forget that Subhas had chosen a path different from his Congress comrades, not just Jawahar; but also from you and me and others. Ever since your chelas have come to office, I understand, the so-called Bose files have been declassified; has anybody managed to find any evidence of any injustice done to Subhas or to his memory? This cherry-picking from history to denigrate national leaders and inject poison in people’s minds cannot be the basis of any national progress. What is this fetish among your chelas about ideology? Has not ideology played so much havoc in the last century, in Europe? The end result of too much of clear-cut ideology – us and them, friends and foes, supporters and dissenters, traitors and patriots – is total violence, total control of the kind exercised in Germany by that fellow with the funny moustache. Sardar, I am sorry to have talked at such length, but it is you they keep using to fire shots at Jawaharlal and now at me. Watch out, they may reduce you to just a patidar. Your chelas may be good at counting votes and notes, but I cannot bring myself to keep quiet in the face of the creeping institutionalised shoddiness in India’s political life and public space. 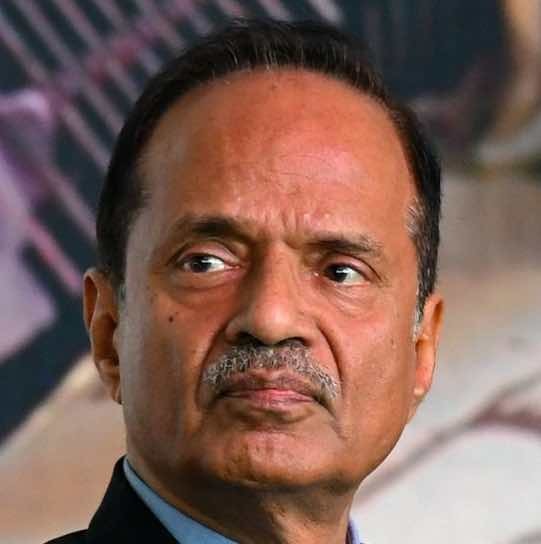 Harish Khare is Editor-in-Chief of The Tribune, where this article originally appeared.